Hotel Gelato | Stay for Dessert - Whether you love exotic tastes or you’re more of a traditionalist, we’ve got gelato and sorbet flavours to suit every palate. And better for you, too. 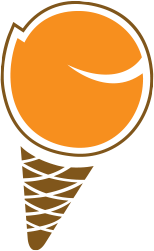 Because gelato is made with milk instead of cream, it is much lower in calories and fat than ice cream. 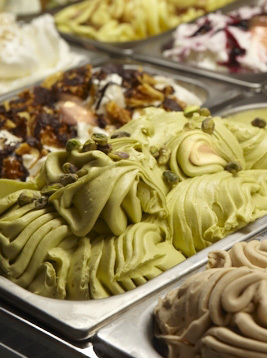 Plus, all of our delicious flavours are made right here at hotel gelato, using the freshest, highest quality ingredients, which are locally sourced whenever possible. Whether you love exotic tastes like our refreshing Mojito or our sweet and spicy Mayan Chocolate, or you’re more of a vanilla or lemon traditionalist, we’ve got flavours and textures to suit every palate. Like Vanilla Sponge Toffee. Banana. Strawberry. Avocado. Blueberry. Hazelnut. (We could go on.) Plus, we always offer sugar-free and lactose-free options. Because when we say “flavours for everyone,” we mean it. Large orders and custom flavours available for functions and events. Contact us for more information. “Gelato” means frozen in Italian. Bernardo Buontalenti is considered the inventor of gelato. Sorbetto is a term for gelato made with water instead of milk. Gelato was served for the first time for the King of Spain in the late 15th century, and it made its way to North America in 1770.